Sunderdhunga literally suggests the valley of beautiful stones. The eminent glaciers of this valley are Maiktoli and Sukhram. Sunderdhunga valley is on the right side of Pindar valley and the Trek is is considered difficult in comparison with Pindari Trek and Kafni Glacier treks. The trekking route up to village Khati is prevalent among Pindari, Kafni and Sunderdhunga Glacier. The snow-capped peaks distinctly visible during this trek are Mrigthuni (6856mts), Maiktoil (6803mts), Panwalidwar (6663mts) and Tharkot (6100mts). The trek to Sunderdhunga goes through Jaitoli, Dudhia Dhaung and Kathalia. Sunderdhunga is one of the must visit trekking place in Kumaon region as the trek offers a variety of natural splendors. 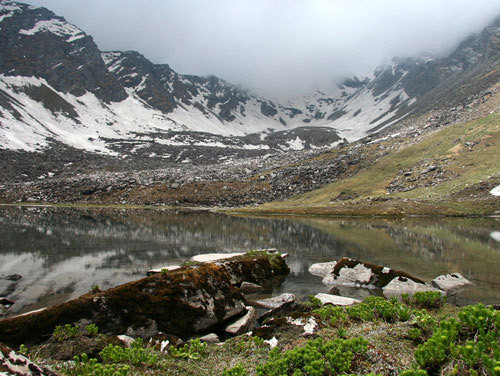 Sunderdhunga Glacier is situated on the right side of Pindar valley. 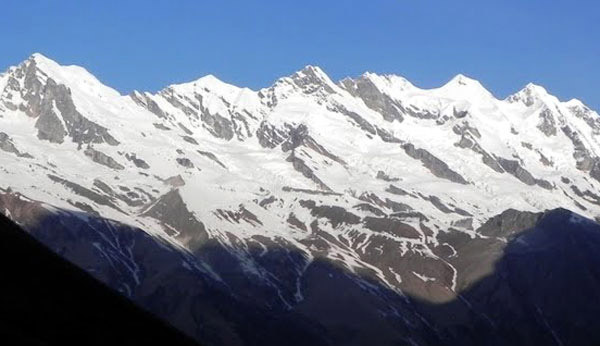 Sunderdhunga is approximately 24 kms beyond the village Khati and is considered as a difficult trek in comparison with treks to Pindari and Kafni Glaciers. It is situated in Bageshwar district of Uttarakhand state. After having breakfast, drive from Kathgodam to Bageshwar via Almora. Explore the town of Bageshwar and visit the old Bagnath temple at the confluence of Saryu and Gomti River. Buy all necessary things from the market of Bageshwar. After lunch head towards Loharkhet and reach by evening. Arrange for guide and porter the same day if required. KMVN has Rest houses in Loharkhet. Overnight in Loharkhet. Loharkhet is situated at an elevation of 1,760mts above sea level. 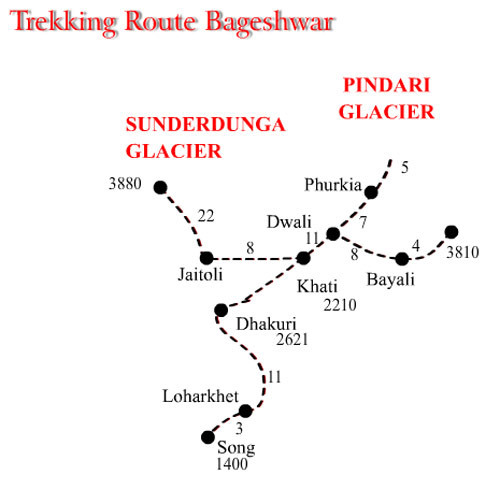 Start first step of your trek to Pindari and Kafni Glacier. The trek is easy but quite steep and goes through dense forest. After following the trail for few more kilometers from Dhakuri Khal you reach Dhakuri. View of snow capped peaks of southern wall of the Nanda Devi Sanctuary is visible from Dhakuri Khal. Dhakuri is situated at an elevation of 2,680mts amidst dense forest. Overnight in Dhakuri. Khati is the biggest village that you will come across on the trek to Pindari Glacier. The trail passes through thick forest of Rhododendrons. It is the last village en route Pindari and Kafni glacier, situated at an elevation of 2,210mts above sea level. You can charge your batteries by paying to run the generator. KMVN rest house is situated 500mts ahead of Khati village. Khati is situated on the banks of Pindar River. It is believed that the hospitable villagers are descendents of the race who provided pandavas with shelter. The pet dogs here have metal collars so the wild animals don't grab them by the throat. Jaitoli is situated at an elevation of 2,440mts above sea level. Overnight in Jaitoli. The distance that you have to cover today is 13kms. More than half of the journey goes through thick alpine forest and the trek is graded as moderate. Dhungia Dhaun is situated 8kms from Jatoli. There are shepherd tents in Dudhia Dhaung. Beyond Dudhia Dhaung, it is necessary to take a guide even for experienced and professional trekkers but it would be better if you book a guide and porter from the very beginning of the trek. The next halt is Kathalia, situated at an elevation of 3,206mts above sea level. Kathalia is the last inhabited village en route Sunderdhunga Glacier. Overnight in Kathalia. Enjoy heavy breakfast in Kathalia and choose from the two different paths leading to two different viewpoints. The route from Kathalia diverts to Maiktoli Top and Sukhram Cave. Both these destinations are situated 7kms from Kathalia. Trek to Maiktoli top is a steep and tiring climb but the rewards are great with stupendous views of the Himalayas. 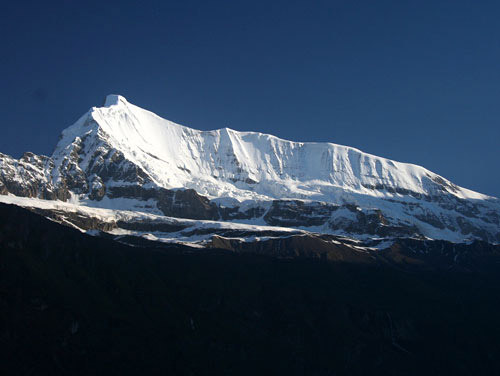 Maiktoli top is situated 4,320mts above sea level. On the other hand, Sukhram cave is also situated 7km away from Kathalia in the opposite direction. Sukhram cave is a beautiful place to watch out for and you can view Sunderdhunga view-point from here. Sunderdhunga view-point is situated 3,900mts above sea level. You can also trek to Sunderdhunga view point to Maiktoli and return to Kathalia but the route from Sukhram Cave to Maiktoli is arduous. Trek to both destinations the day after another and overnight in Kathalia for both scenarios. The trek descends down from Kathalia to Jaitoli aqnd can be easily completed within 5hrs. Walk slowly and enjoy every moment of beautifully enriched scenic splendors of Sunderdhunga valley. Overnight in Jaitoli. Depart from Jaitoli and head towards Khati. Trek to Khati from Jaitoli is quite easy but the trek goes moderate from Khati to Dhakuri as it is quite enervating. The final kilometers of the trek may be tiring but filled with nostalgic memories and an experience to share. Overnight in Dhakuri. After breakfast follow the downward trail all the way to Loharkhet. Drive to Almora or Kausani or you can directly depart to Kathgodam. What is Sunderdhunga Glacier famous for? Sunderdhunga Glacier is famous among tourist as Trekking, Glaciers, Glacier Trek, Snow Trek. Sunderdhunga Glacier is recommended destination for Foreigners, Groups, Solo. 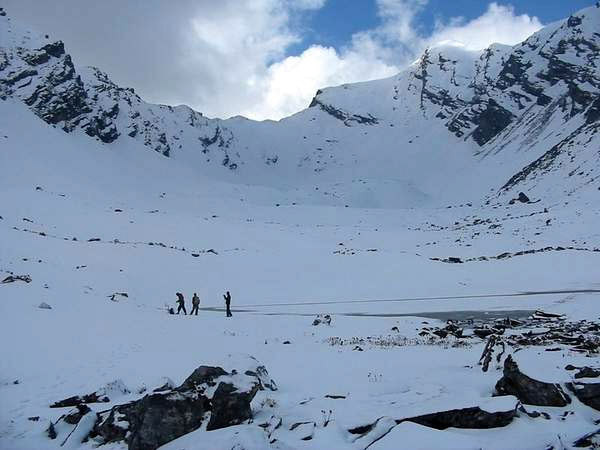 Sunderdhunga Glacier is popular destination for following activities/ interests - Adventure, Glaciers, Trekking. Travelling to Sunderdhunga Glacier in 2019? Contact us for planning your Sunderdhunga Glacier tour with best travel packages of as per your requirements!